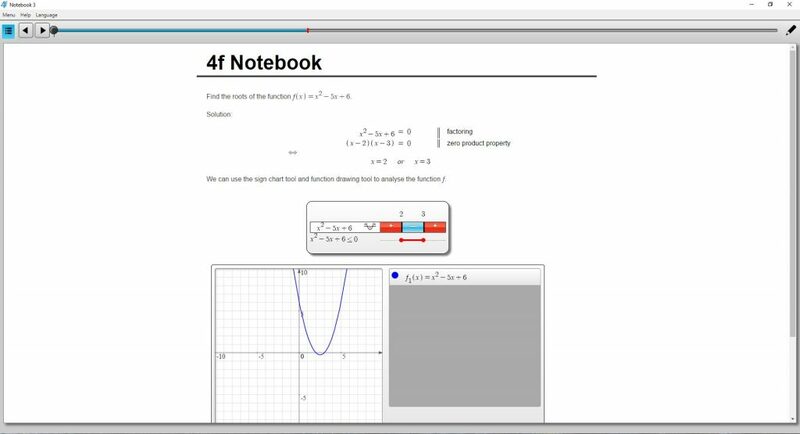 A 4f Notebook is a digital notebook for teachers and students on your laptop, with special support for mathematics. The notebook is organised into chapters, sections, and pages, and has an automatically updated table of contents. Each page can contain different kinds of page elements, like rich text with mathematics formulas, pictures and figures, and special math elements.You can create an unlimited number of notebooks. You can upload a notebook page on the web in order to share it with others. A 4f Notepage is a collection of different kinds of content elements that are laid out on the page. You can easily add, modify , reorganize and delete content elements on a page, as well as choose how to lay out the elements on the page for best possible readability and usability. Most content elements are interactive, and some may require internet access. The page elements available are described here. Edit mathematical text with standard mathematical notation. Both inline formulas and displayed formulas are supported. Mathematical symbols chosen from a palette, or typed as LaTeX commands. 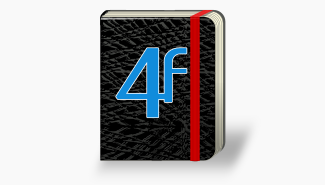 4f notebooks are easy to use with the other software. Page elements can be dragged to other editors, like LibreOffice Writer and Microsoft Word. The notebook elements can also be dragged into a Four Ferries 4f Note, in order to share content over the net. 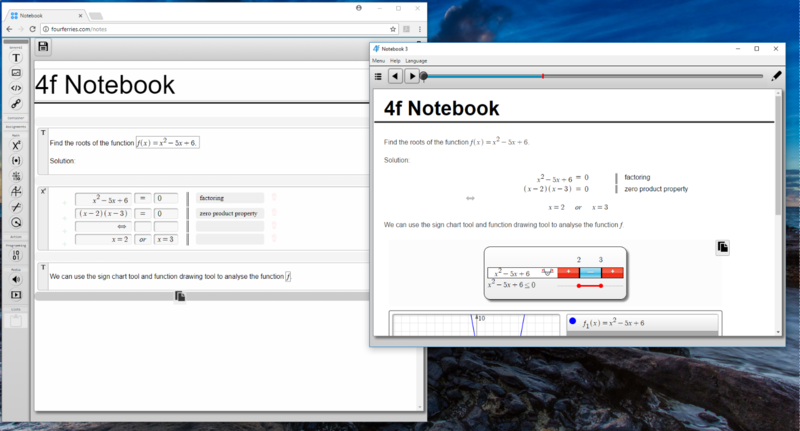 4f notebook math tools are used in the Finnish national matriculation exam. 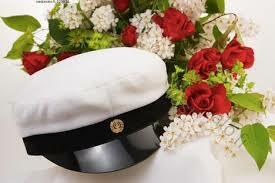 The matriculation exam is compulsory for all high school students. The matriculation exam will be completely digital starting autumm 2019.